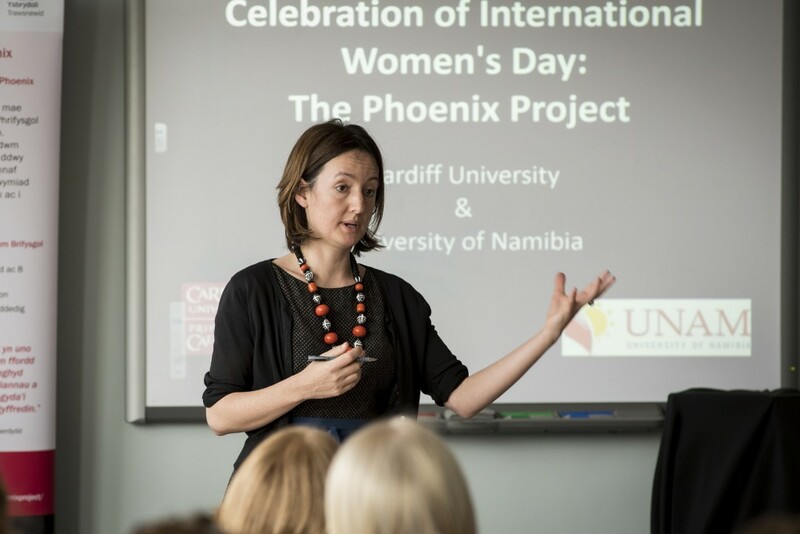 The Phoenix Project is an international education collaboration between Cardiff University and the University of Namibia. One of our main themes is Women’s Health. It was natural for us to organise round International Women’s Day. You came, your saw and you filled the room to overflowing. Thank you. 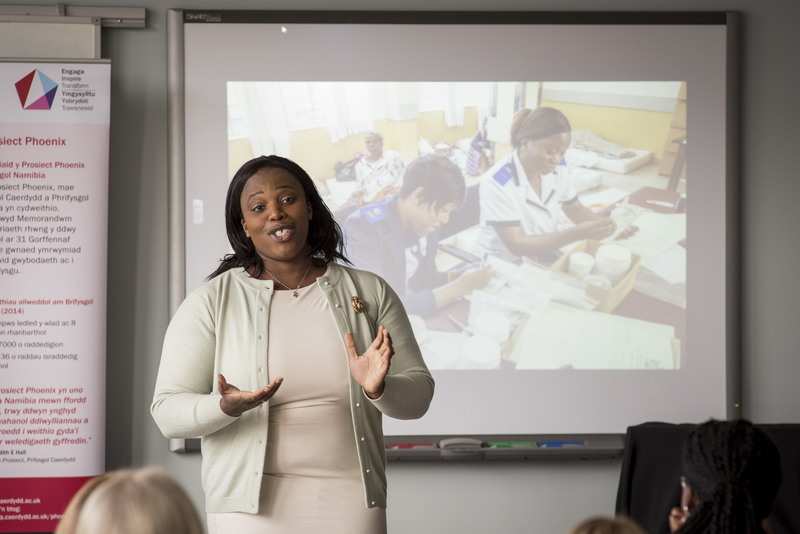 Magnificent Joyce Achampong (Director of External Engagement, Association of Commonwealth Universities) told us: ‘we have enough and we ARE enough, let’s build together’ we believed her and her call to action. Shared by Cat Jones (Head of Partnership Hub Cymru Africa) and Professor Meena Upadhyaya, we heard important stories of struggle and success, from Women of Wales and around the world. You left your contact details. Enough of you approached me that we will form Women in Health Wales: clinicians, scientists, administrators and managers, business women. Naturally, men are welcome and a big thank you to the men who came along. 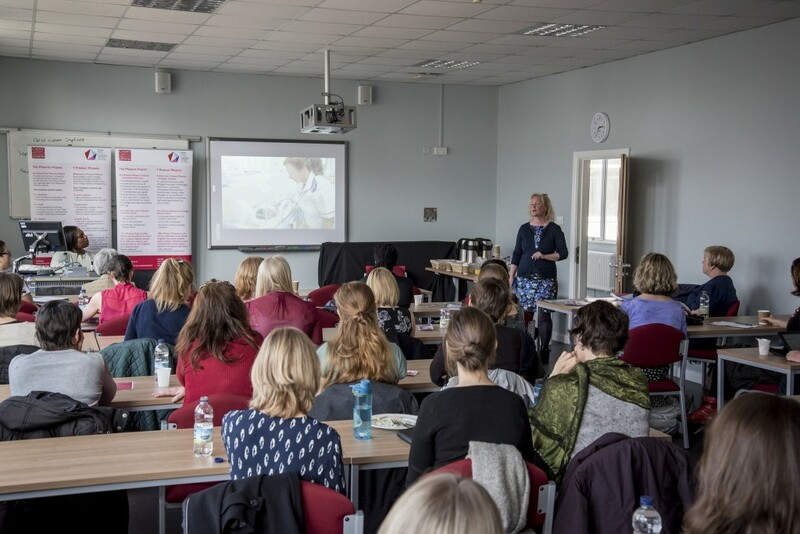 We will be the all-inclusive presence of Cardiff Women in Science, based at the Heath Campus, making our extended supporters welcome. It was wonderful that some successful business women came along. We Are For Women: we want to make a difference to other women in the developing and developed world. Our aspiration is in line with the United Nations Sustainable Development Goals. So, please watch this space. I will be in touch. 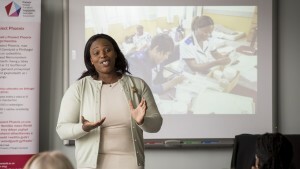 Joyce Achampong, Director of External Engagement at the Association Commonwealth Universities, discusses her experience and career. 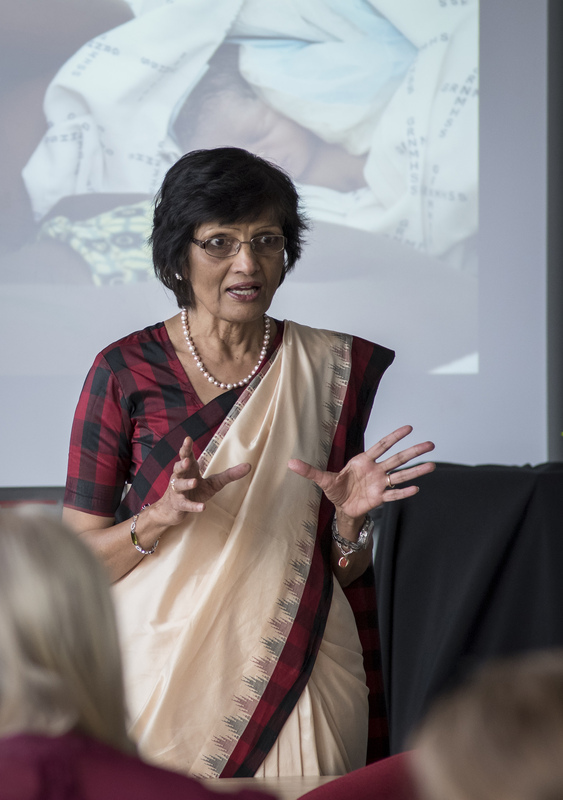 Professor Meena Upadhyaya shares her story with delegates. Professor Judith Hall introduces the meeting. 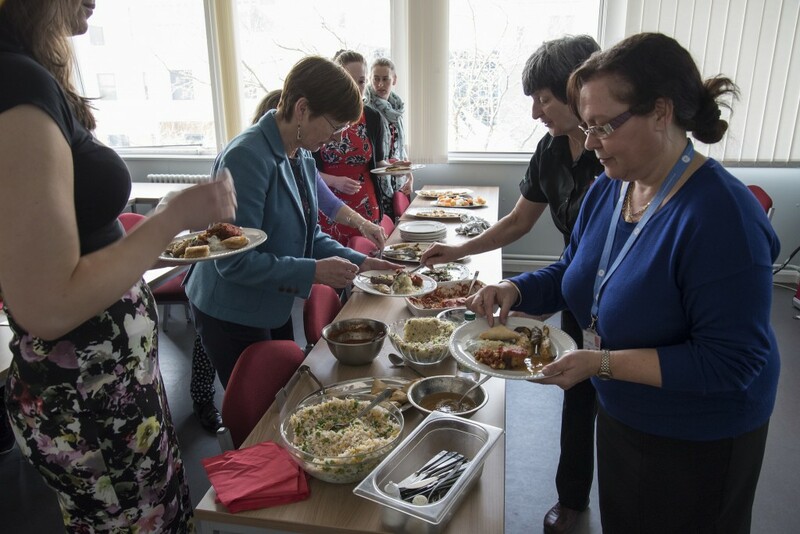 Celebration of International Women’s Day begins with an African buffet.